Pushya means 'to nourish' and therefore a person can think beyond gold investment on this day. This wonderful day referred to before starting off on any venture related to your job, trade, family or any other sphere of life and thus 99.9% success could be registered in one's fate. This occurs rarely when Pushya nakshatra falls on a Thursday which is the most auspicious day. This day becomes Amrut yog so on this day all spiritual and religious practices are considered extremely beneficial for the devotee. Mahalaxmi saadhna is recommended to be performed on this special day to invoke the blessings of Goddess of wealth and prosperity. This is also called Gurupushyamrit yog. On this day if a person wishes to God or practices siddhis, his siddhi/ kamna will come true and siddhi will surely bear fruit. 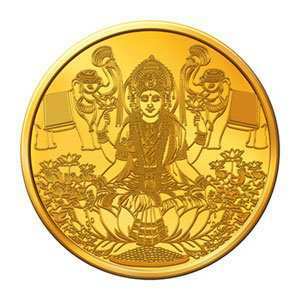 The Indian Goddess of Wealth and Prosperity, Lakshmi was born in the Pushya nakshatra and hence it is considered as highly auspicious muhurat for starting business, purchasing gold ornaments, starting a new venture, poojas, havan, homam, bhoomi poojan, auspicious activities, signing documents etc. Pushya, or Pushyami or Pusya, is one among the 27 Nakshatras and the day Pushya Nakshatra falls is considered highly auspicious for beginning new ventures, investments and purchases. Pushya Nakshatra is the ideal day for buying gold and jewellery. According to Hindu astrology, the favourable alignment of the stars on Pushya Nakshatra day results in prosperity, success and happiness. Lakshmi, the Goddess of Wealth, Pushya nakshatra if falling on Thursday is even more auspicious and known as Guru Pushyamrit Yog. All poojas /mantra /tantra saadhnas /sankalps are to be practiced on this day for prosperities. This day is also auspicious for the performance of Tantra / black magic mystic rituals. All the rituals performed on this day for all planetary malefic effects, and pacification generates auspicious results. Â â€¢Â If a person performs Mahalaximi Anushtaan then Goddess Mahalaxmi is sure to shower her blessings on you. Â â€¢Â For debts and loans karzmukti sadhna if practiced will surely be fruitful. Â â€¢Â For better business prospects one should practice Vypaar vridhi Sadhna as it is very beneficial. Â â€¢Â For the married, if a Sammohan Anushtaan (Puja for Attraction) is performed, success will follow, because the Goddess of Sammohan (Attraction) is Goddess Mahalaxmi. Â â€¢Â On Guru pushya nakshatra siddh all your mantras and practice tantra saadhan on Ravi pushya Nakshatra it is surely beneficial. Â â€¢Â If facing losses in business, Shodshi Anushtaan performed on this day will recover all your debts.